Comments: This pyramidal shaped holly and limbs sweep gently toward the ground. 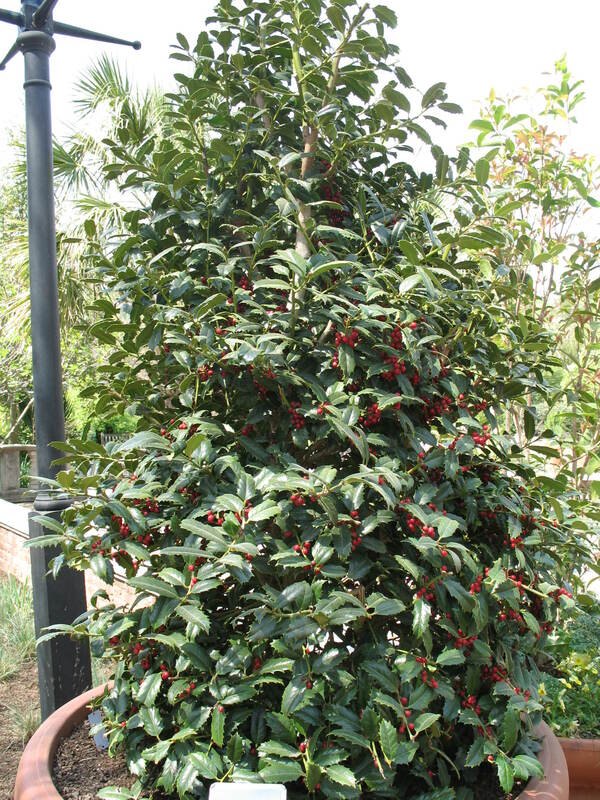 The new leaves on this bold textured shrub are maroon colored. This female selection is a red holly hybrid.